The Allen School family is mourning the loss of our friend and colleague Hellmut Golde, who passed away earlier this month after a brave battle against cancer. 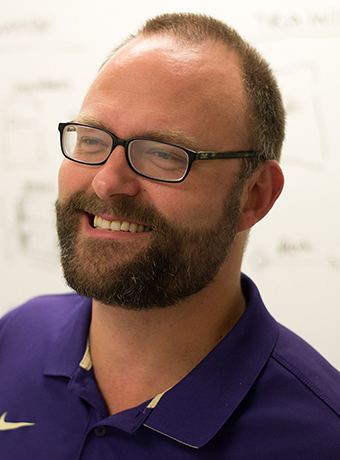 As one of the founding members of the Computer Science Group at the University of Washington and leader of the team that developed the wildly successful VAX Pascal compiler, Golde’s legacy includes the emergence of the Paul G. Allen School of Computer Science & Engineering as an education and research powerhouse and the emergence of the Seattle region as a hub of computing innovation. Golde, who grew up in Germany, joined the UW faculty in 1959 as a professor in the Department of Electrical Engineering after earning his Ph.D. from Stanford University. He was one of the founders of the Computer Science Group in 1967, the precursor to the Department of Computer Science, formed in 1974, which evolved into the Department of Computer Science & Engineering in 1989 and eventually into the Paul G. Allen School in 2017. In those early days, Golde played a crucial role in establishing the culture for which the Allen School is widely known — one of friendship, support, and community. A few years after he helped lead the creation of the Computer Science Group, Golde became director of the Computer Science Laboratory, the research and educational facility that hosted a couple of aspiring computer scientists, Paul Allen and Bill Gates, in the days before they set out to put a computer on every desktop. Back then, the pair would sneak into the lab and “borrow” computer time, as Gates would later describe it. 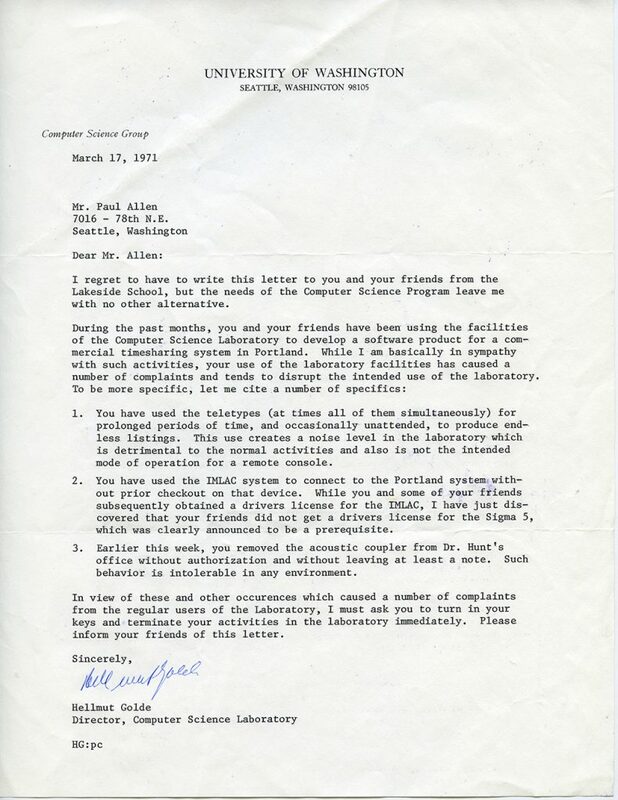 Golde would cement his place in campus lore by famously expelling Allen and Gates from the lab. Delivering his rebuke via a polite yet sternly worded letter, Golde directed Allen to “turn in your keys and terminate your activities” owing to offenses such as “you removed the acoustic coupler from Dr. Hunt’s office without authorization and without leaving at least a note.” At the celebration of the naming of the Allen School more than 40 years later, Allen astonished Golde and the rest of the audience by pulling out the letter and reading it in its entirety as he reminisced about his long-standing affection for UW. Allen subsequently framed two copies of Golde’s letter as mementos for the school and for Golde, while we attempted to make amends for the decades-old rebuke by gifting Allen an acoustic coupler purchased on eBay. 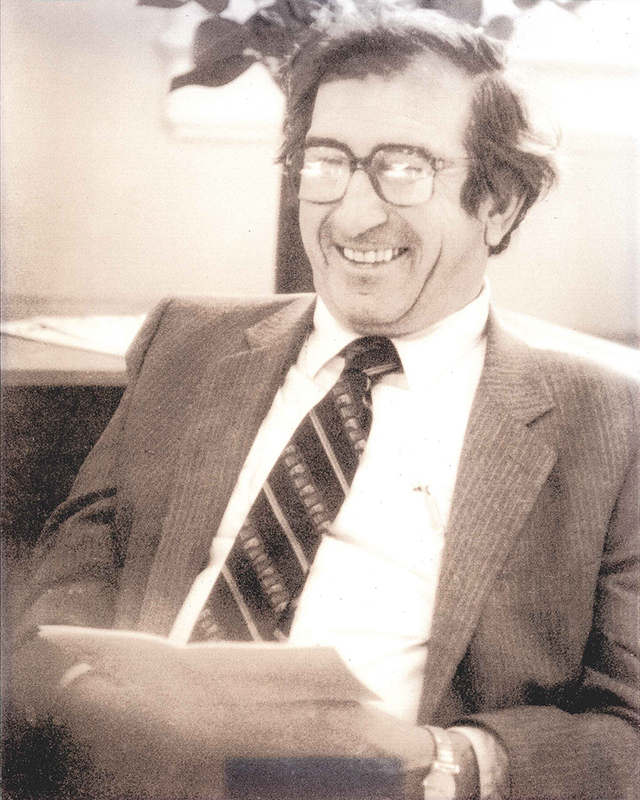 Golde later stepped in to serve as acting chair of the department from 1976 to 1977. It was a period of transition for our program, and Golde wasn’t given much of a choice in the matter — the first department chair, his dear friend Jerre Noe, had declared himself a sabbatical after coming to the realization that if he didn’t leave town, he might wind up being chair for life. At the time, the department had a grand total of 11 faculty and had graduated 25 students. 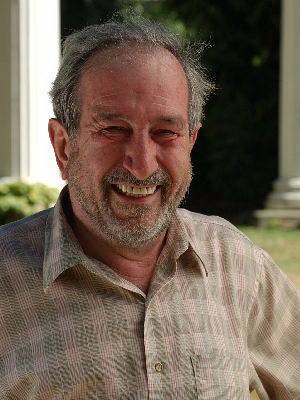 Although Golde’s time at the helm was short-lived, he had an outsize impact on the program beyond the recruitment of Lazowska and Ladner — each of whom went on to have an outsize impact of their own on the growth of our program and on our emergence as a leader in accessible computing, respectively. In October 1977, Digital Equipment Corporation (DEC) introduced the VAX-11/780 computer, which became the mainstay of many computer science departments and companies nationwide. UW managed to acquire an early VAX on the understanding that Golde and a group of graduate students would write a VAX compiler for the Pascal programming language, which was widely used for introductory programming. The VAX-11/780 computer on display in the Allen Center atrium stands as a monument to those days, when this single computer could support the entire department’s computing needs. Always a leader and forever a friend, Hellmut retired from UW as emeritus professor in 1992 but remained actively engaged with his Allen School family. We miss him greatly. A celebration of Hellmut’s life will be held on Sunday, June 2, 2019 at 2 pm at the Bill & Melinda Gates Center for Computer Science & Engineering at the University of Washington. Please contact Beth Golde (beth at golde.org) for details if needed. Remembrances, in lieu of flowers, may be made to the Hellmut Golde Endowed Scholarship in Computer Science & Engineering at the University of Washington, or the Golde Family Scholarship Fund at Heritage University. An official obituary may be found here. Four Allen School undergraduates are among the 2019 class of the Husky 100, a program that recognizes students from across the University of Washington’s three campuses who are making the most of their Husky Experience — both inside and outside of the classroom. This year’s honorees from the Allen School exemplify a commitment to academic excellence, campus leadership, and service to the community that are the hallmarks of a Husky 100 student. Caleb Ellington is originally from Austin, Texas but proclaims he “couldn’t be more proud to be a Husky” as he looks to apply his talents at the intersection of biology and computing in developing communities. After he graduates with degrees in Bioengineering and Computer Science next year, Ellington hopes to build on his past experience as a biomedical engineering ambassador to hospitals across Nepal by helping to develop emergency services in that country. Having completed internships at Boulder, Colorado-based Muse Biotechnology and at Amazon in Seattle during his studies, Ellington is also interested in pursuing entrepreneurial opportunities focused on therapeutics manufacturing. “I came to UW with a mission to improve health care and medicine using tools available to everyone,” Ellington said. Alison Ng of Woodinville, Washington will graduate this year with a degree in Computer Engineering. A leader inside the Allen School as well as out, Ng chairs the CSE Student Advisory Council, which represents the undergraduate and master’s student voices within the school, and serves as an officer of the UW chapter of the Society of Women Engineers, an organization that aims to expand educational and career opportunities for women in technical fields. Ng also represents her fellow students as a member of the Allen School Diversity Committee and serves as a peer adviser helping to guide other CSE majors and prospective students toward academic success. 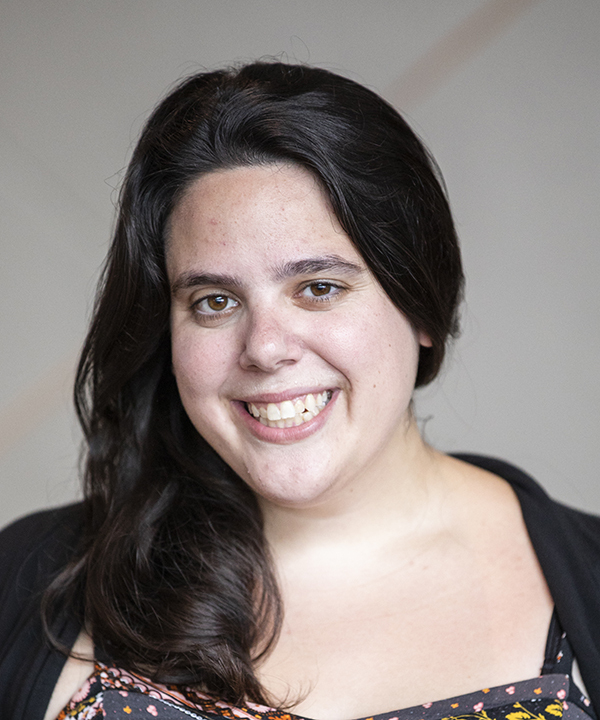 She is currently in her second quarter as a teaching assistant for the Allen School’s Introduction to Digital Design course. 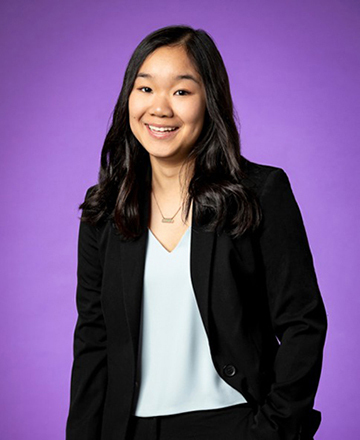 “The University of Washington has provided me with the opportunity to explore my passion for computer engineering and to develop the technical skills necessary to thrive in the industry,” Ng said. Eugene Oh of Federal Way, Washington is pursuing degrees in Computer Science, with a concentration in Data Science, and Social Work. 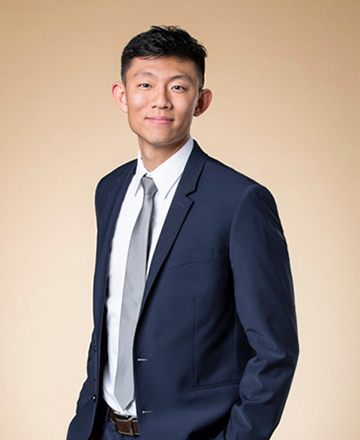 During his time at UW, Oh has assisted current and prospective CSE majors as a peer adviser and also served as a teaching assistant for the Allen School’s Freshman Direct Admit seminar — in which he focused on the topic of social good — and Computer Science Principles course. 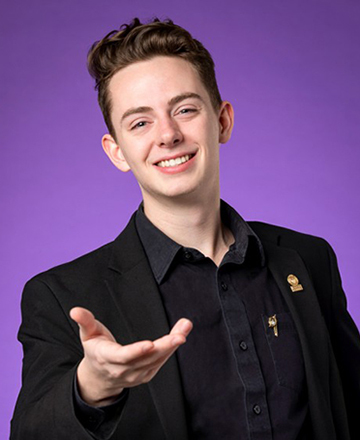 When he is not honing his technical skills at a local technology company or as undergraduate research assistant, Oh devotes himself to volunteer service at the Roots Young Adult Shelter and mentoring students at Kent-Meridian High School through the UW Dream Project. Mitali Palekar will graduate this year with a Computer Science degree with Interdisciplinary Honors. Palekar, who hails from Cupertino, California, describes her Husky Experience as one of transformation from “naive freshman” into an engineer, leader, and advocate. In addition to serving as an Allen School peer adviser helping her fellow students navigate their own Husky Experience, she has been active in the UW chapter of the Society of Women Engineers as a senior adviser and past president. 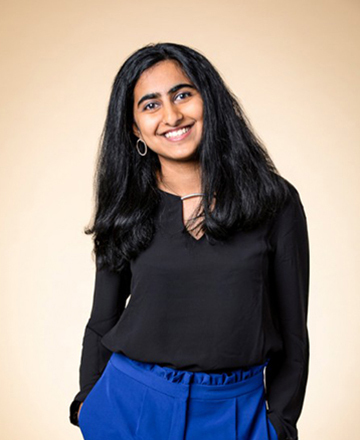 Palekar has also taken the opportunity to apply her technical skills as an undergraduate research assistant in the Allen School’s Security and Privacy Research Lab and through internships with multiple technology companies in Seattle and Silicon Valley. “I have developed a passion for building products and communities that uplift the voices of people around me,” Palekar said. This is the fourth year the UW has recognized students through the Husky 100 program. Past honorees from the Allen School include 2018 recipients Amanda Chalfant, Aishwarya Mandyam, Melissa Medsker (Galloway), and Kimberly Ruth; 2017 recipients Camille Birch and Kelsie Haakenson; and 2016 recipients Krittika D’Silva, Victor Farkas, Karolina Pyszkiewicz and Sarah Yu. Congratulations to Caleb, Alison, Eugene, and Mitali on this well-deserved recognition — and thank you for devoting your time and talents to helping your fellow students and the community! 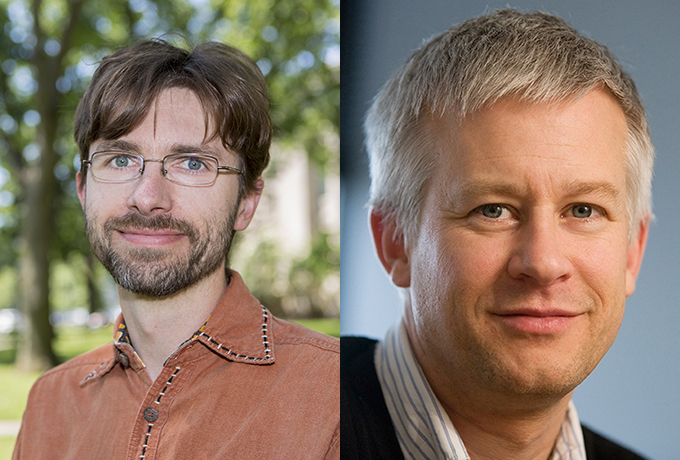 Allen School alumnus Krzysztof Gajos (Ph.D., ‘08) and professor Daniel Weld were recognized with the Most Impact Paper Award at the Association for Computing Machinery’s 24th International Conference on Intelligent User Interfaces (IUI 2019) last month for “SUPPLE: Automatically Generating User Interfaces.” Each year, the IUI organizing committee selects a past paper submitted to the conference that has had the greatest impact and visibility since its initial publication. This year’s winning paper, which Gajos and Weld originally presented at IUI 2004, presents a system for automatically rendering user interfaces based on device characteristics and usage patterns. When the team began working on SUPPLE, even the most promising solutions for dealing with this challenge could not sufficiently handle the growing array of display sizes and types of interactions available. Many were unable to cope with situations in which the device constraints could not be anticipated in advance or cases in which the functionality had to be generated dynamically. Often, these tools required interface designers to hand-craft templates or explicitly and painstakingly identify which widgets to use and under what constraints — making the process both time-consuming and expensive. And none of them were geared toward addressing the needs of the user, especially the many people with physical disabilities who struggle to use interfaces crafted for an imaginary “average” user. Gajos and Weld opted to define interface generation as a constrained decision-theoretic optimization problem. They then set about creating a model-driven solution capable of dynamically generating the “optimal” interface for each user given their physical capabilities and constraints such as device capabilities. Rather than specifying how certain features should be presented by an interface from the start — the approach followed by most existing tools — the team preferred to specify what functionality was intended by the interface and leave the decision on how it should be presented to the SUPPLE algorithm. As it became clear that the algorithm might provide revolutionary benefits to users with physical disabilities, Gajos and Weld teamed up with Jacob Wobbrock, a professor of human-computer interaction in the UW Information School and adjunct faculty member in the Allen School. Together, they added methods for quickly and automatically characterizing physical capabilities, and this enabled SUPPLE to generate one interface for a user with muscular dystrophy and a very different one for a person with cerebral palsy, because it learned that the former user had low strength and couldn’t move the pointing device more than small distances while the latter had impaired dexterity and required larger targets for accurate selections. The team’s studies showed that SUPPLE could dramatically increase the speed of users with motor impairments while simultaneously decreasing their error rate. The system automatically selects the optimal elements to display in a particular interface from multiple widget libraries. In this case, the “optimal” SUPPLE rendering not only satisfies functional and device constraints, but also requires the least amount of user effort expressed as a cost function. To compute estimated cost of user effort, the team employed a trace-driven approach to model users’ typical interactions in addition to their tool for quickly eliciting performance profiles for users with physical disabilities. To highlight the lasting value of the team’s contributions, IUI organizers invited an expert panel to reflect on the impact of SUPPLE on the intelligent user interface community at the 2019 conference. The panelists included Henry Lieberman of MIT CSAIL, Jeffrey Nichols of Google, and Simone Stumpf of the Centre for HCI Design at City, University of London. 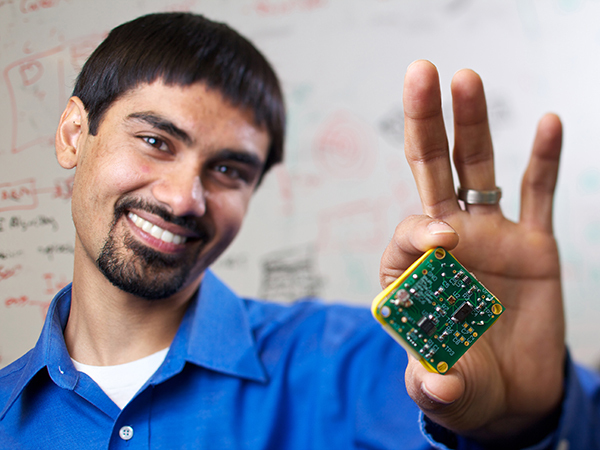 Patel began his research career as an undergraduate at Georgia Tech, where he had the opportunity to work on the “Aware Home,” a project that aimed to envision the connected home of the future. The experience inspired Patel to focus his career on developing low-power sensing capabilities that transformed how we view technologies old and new — from the humble U-bend under your sink, to the basic electrical wiring in your home, to the latest smart devices. Even as an undergraduate, Patel knew that he wanted to make his mark as a faculty member in academia, where he would have the freedom to pursue his research interests without the constraints of working in industry. Only later would he discover the extent to which he could combine the two to great effect. The first industry Patel helped build was whole-home sensing for sustainability. Patel, whose work on the Aware Home led him to become a plumber and electrician in addition to a computer scientist, recognized that home systems such as the electrical wiring and plumbing could reveal fine grained information about power and water usage — so fine-grained, in fact, that he and his students figured out how to combine signal processing and machine learning to measure electricity usage at the individual device level, including televisions, lights, dishwashers, and more. Patel and his students noted that each device places distinct “noise” on the home’s electrical system. 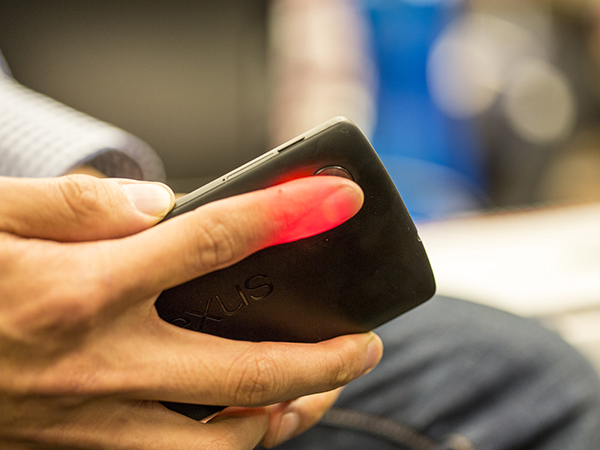 This noise makes it possible to determine which device is in use and how much power is being consumed. Patel and his students applied a similar principle to monitor the home plumbing system by measuring pressure waves in the home’s plumbing as each faucet or fixture is turned on and off. “Your noise is our signal,” Patel would often say about this work. Beyond the significance of the research findings, Patel demonstrated that sustainability sensing could be practical, too. His system required only a single device to be plugged into an outlet or connected to the plumbing in order to gather data on the entire system. 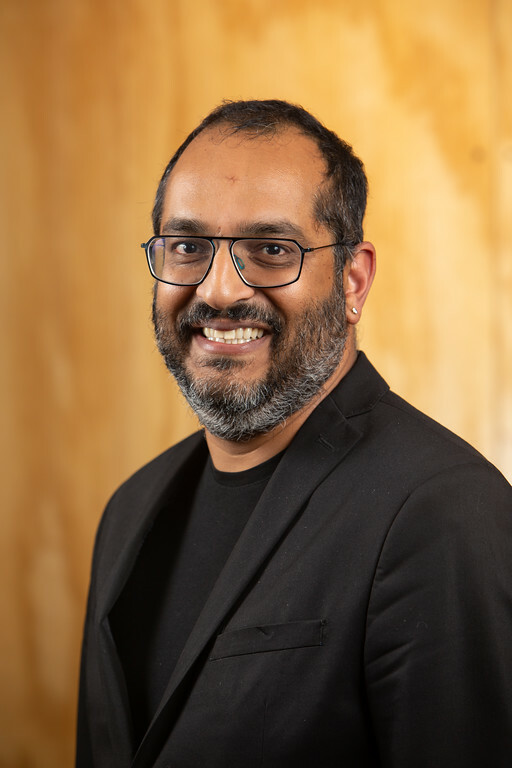 Patel co-founded a startup company, Zensi, to commercialize this work — the first of several startups he would establish to push his research out into the marketplace. 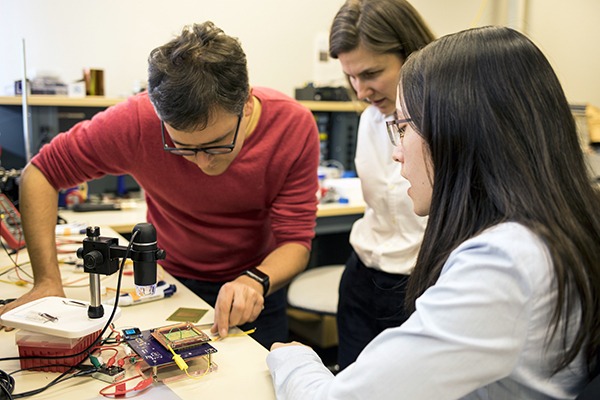 Zensi was subsequently acquired by Belkin, which opted to open its new WeMo Labs in Seattle with Patel serving as Chief Scientist in addition to his faculty position at UW. As it turned out, Patel discovered that a home’s electrical system could be used to reveal a lot more than whether someone left the television on. That same system could be used like a whole-home antenna to transmit a variety of other data points that could provide an early indication of home hazards, such as elevated moisture levels inside the walls that indicate an appliance malfunction or leak. Patel and his collaborators developed a platform known as Sensor Nodes Utilizing Powerline Infrastructure, or SNUPI for short, that leveraged a network of ultra-low-power sensors deployed throughout the home to wirelessly transmit data, via the electrical circuit, to a base station. As before, Patel co-founded a company, the aptly-named SNUPI Technologies, to commercialize the team’s results. SNUPI released a consumer product, WallyHome, that was later acquired by Sears. One of the first projects he worked on was designed to turn a mobile phone into a handheld spirometry device for measuring lung function. SpiroSmart and a related tool, SpiroCall, enabled people to use their phones to measure their lung function at home or on the go by simply blowing into the microphone. 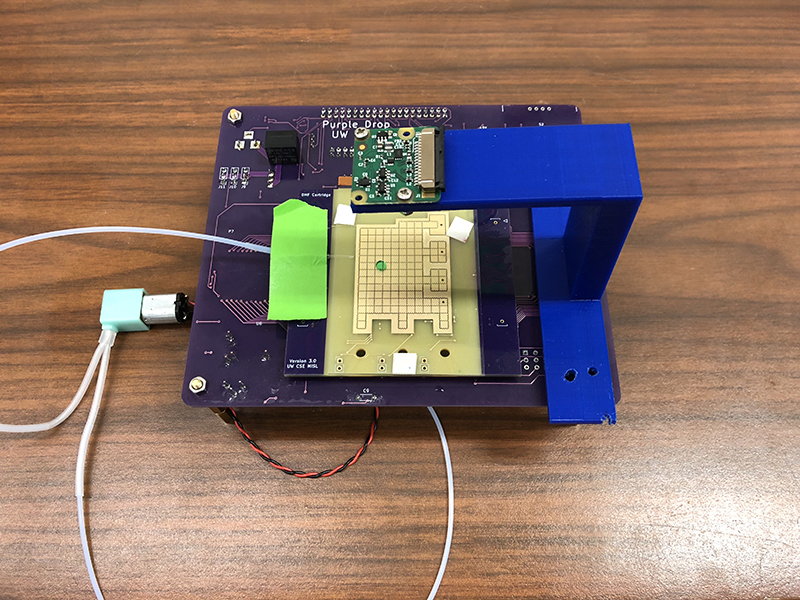 Patel and his students demonstrated that their tool, which like the home sensing systems combined signal processing with machine learning, could achieve acceptable medical standards for accuracy compared to commercial spirometry devices — without the time and expense of an in-person doctor’s visit. They also made use of the built-in camera to develop a series of apps to screen for a variety of medical conditions, including BiliCam for detecting infant jaundice; BiliScreen for detecting adult jaundice (known to be an early symptom of pancreatic cancer); and HemaApp for measuring hemoglobin levels in the blood to detect anemia and other conditions. And these are just a few examples of what Patel has been working on. He also commercialized some of these technologies, which were acquired by Google where he now leads a team. Patel has begun to see the opportunity in action in collaboration working with local communities and the Bill & Melinda Gates Foundation. 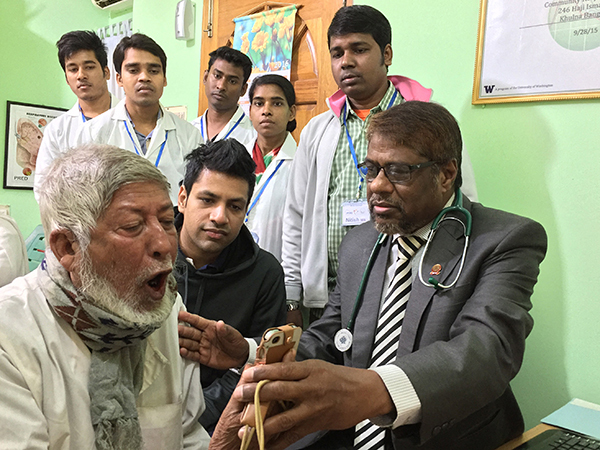 He and his team have deployed SpiroSmart and SpiroCall in clinics in India and Bangladesh, for example, while another tool developed in his lab, CoughSense, is being used to track the spread of tuberculosis in South Africa. Meanwhile, providers in Peru are using HemaApp as a non-invasive alternative to traditional blood tests to screen children for anemia. Patel is hopeful that these and other tools will soon be available to health care providers, government and non-profit agencies, and individual users across the globe. Academia may be his playground — a place where he can test off-the wall ideas and collaborate with students and peers to push the boundaries of what technology can do — but Patel acknowledges that it’s his forays into industry that have enabled him to realize the impact of his research at scale. The time spent working on his startups has also made him a better researcher, he says, by broadening his view of what questions he could address through his work. 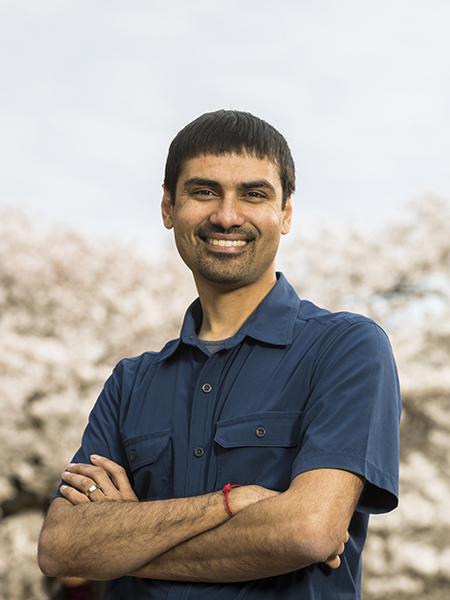 Along the way, Patel has picked up numerous awards and accolades for his work, including a TR-35 Award from MIT Technology Review in 2009, a MacArthur Fellowship — also known as the “Genius Grant” — in 2011, and a Presidential Early Career Award for Scientists and Engineers (PECASE) in 2016. That same year, he was named a Fellow of the ACM, one of the highest professional honors accorded to computer scientists and computer engineers. This marks the first time a UW faculty member has received the ACM Prize in Computing, but not the first with a UW connection. Previous winners include Allen School alumni Jeff Dean (Ph.D., ‘96), a senior fellow at Google, and Stefan Savage (Ph.D., ‘02), a faculty member at the University of California, San Diego. The ACM Prize comes with a cash award of $250,000 from an endowment furnished by Infosys. Patel will be formally honored at the ACM’s annual awards banquet coming up on June 15th in San Francisco, California. Read the ACM announcement here and the full award citation here. See related announcements by UW News and UW ECE, and articles in GeekWire and the Puget Sound Business Journal. To learn more about Patel’s research, visit the UbiComp Lab website here. The AIControl framework leverages hundreds of publicly available control datasets to improve the quality and efficiency of peak identification in ChIP-seq experiments, a popular technique for analyzing DNA-protein interactions. In yet another example of how computation is transforming biology and medicine, Allen School researchers have developed a machine learning-based system that improves upon a widely used technique for analyzing interactions between DNA and the proteins that regulate gene expression. 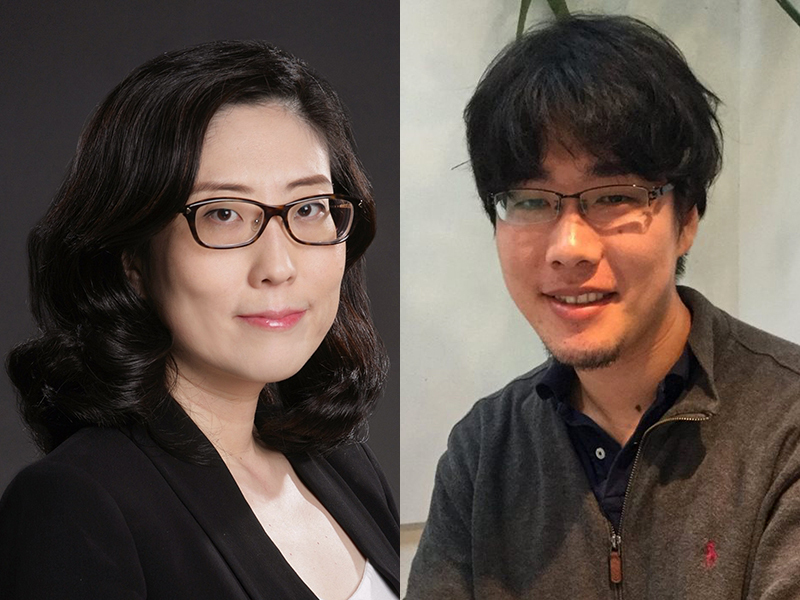 In a paper published in Nucleic Acids Research, Ph.D. students Nao Hiranuma and Scott Lundberg and professor Su-In Lee demonstrate how their system, AIControl, is more cost-effective — and yields more accurate results — than current practices for increasing our understanding of genetic factors regulating the onset of disease and other biological processes. AIControl is designed to be used in conjunction with chromatin immunoprecipitation and DNA sequencing (ChIP-seq), a vital tool in molecular biology for determining the location and function of transcription factors that govern gene expression. ChIP-seq enables researchers to map the binding sites of a specific regulatory protein to DNA across the human genome. While ChIP-seq is one of the most advanced and popular techniques available, it is not without its shortcomings; in addition to being a costly experiment to run, the data generated by immunoprecipitation (IP) contains background signals that can lead to false positives. To compensate, researchers are advised to generate an additional control dataset in addition to their target dataset. While the IP target dataset captures actual protein binding signals, the control captures potential biases in the data. The results of both are then subjected to a process known as “peak calling,” in which algorithms compare the two datasets and separate out the peaks, which indicate the presence of true protein binding signals, and minimize false positives stemming from background noise. It is these peaks that researchers are interested in exploring, as they indicate the site of DNA-protein interactions that influence biological processes. Due to the time and expense associated with generating that second dataset, many users opt to rely on an existing control pulled from a public database or forego the recommended control altogether. 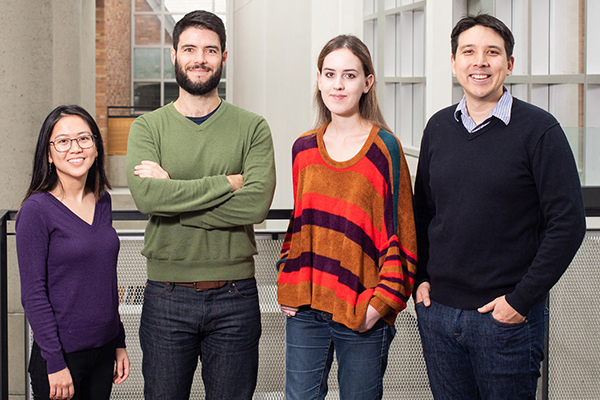 As an alternative, the Allen School team developed a machine-learning framework, AIControl, that replaces the need for the additional control dataset by estimating it in silico using multiple, publicly available controls. AIControl works by systematically determining the most appropriate combination of control datasets to be applied to the target experiment, then estimates the distribution of unwanted background signals based on those datasets to identify the true binding peaks. 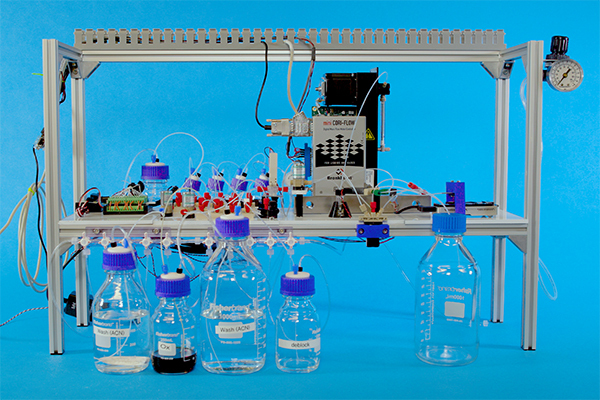 With AIControl, researchers are able to rely on efficient and cost-effective computation, rather than expensive biological experiments, to generate more accurate ChIP-seq results. While existing peak calling techniques require the user to decide which control datasets to apply, AIControl alleviates that burden by automatically integrating and weighing multiple datasets that are most relevant to the target dataset. The system draws upon data from 440 publicly available controls, encompassing more than 100 cell types, to infer the distribution of background signals for the peak calling comparison. Hiranuma and his colleagues evaluated their system by applying AIControl to 410 IP datasets from the ENCODE ChIP-seq database spanning five major cell types. AIControl outperformed existing peak calling methods in identifying putative binding sites, including in cases where control datasets of the same cell type were removed. This suggests that AIControl will be capable of reliably estimating background signals in conjunction with ChIP-seq analyses performed on new cell types. According to Lee, the team’s findings have already generated interest among biotechnology companies eager to replace a costly process for generating new data with an AI-driven solution. Read the journal paper here, and visit the project webpage here. The team behind the Allen School’s TVM framework, an end-to-end compiler stack which enables the rapid deployment of deep learning on a variety of platforms and devices, is marking a new milestone in the project’s development with its transition to the non-profit Apache Software Foundation. The Apache open-source developer community focuses on incubating open-source software projects for the public good. By adding TVM to its incubator portfolio, Apache will ensure that the already popular framework will continue to evolve and expand to meet the needs of developers and hardware manufacturers. TVM started out as a research project in the Allen School’s SAMPL group, an interdisciplinary team of researchers with expertise spanning machine learning, computer architecture, systems, programming languages, and software engineering. 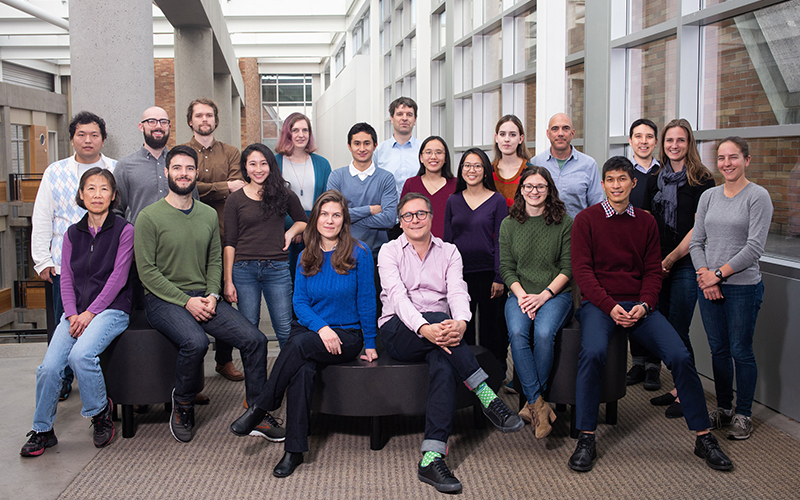 In addition to Ceze, members of the TVM research team include Allen School Ph.D. students Tianqi Chen, Meghan Cowan, Ziheng Jiang, Steven Lyubomirsky, Thierry Moreau, Jared Roesch, Haichen Shen, Luis Vega, and Eddie Yan; and professors Carlos Guestrin, Arvind Krishnamurthy and Zachary Tatlock. Together, they built a full-stack compiler that bridges the gap between deep-learning systems optimized for productivity, and the various programming, performance and efficiency constraints of the latest hardware. They followed up on the initial release of TVM with the Versatile Tensor Accelerator (VTA), an extension to TVM that enabled machine learning researchers and practitioners to explore hardware-software co-design techniques, and Relay IR, a high-level intermediate representation to effectively enable front-end workloads to be compiled and optimized. The SAMPL group organized the first developer conference last December which attracted 180 attendees from all around the world. The TVM ecosystem quickly caught on within the developer community, which enjoyed the ability to quickly and easily deploy deep learning applications on a wide range of systems — from specialized chips and mobile phones, to wearables and embedded devices — without sacrificing battery power or speed. As an open-source project from the start, TVM has benefited from the input of nearly 200 individuals and organizations, including the likes of Amazon Web Services (AWS), Qualcomm, Facebook, Google, Huawei, AMD, Microsoft, Xilinx, Cornell University, University of California, Berkeley, and more. Several major technology companies have incorporated TVM’s functionality into the products and services they provide to end users. “TVM is right for the Apache Software Foundation, and the Apache Software Foundation is right for TVM: One thing the ASF excels at is enabling collaboration across organizations, and encouraging collaboration even among competitors. With contributions from such a wide range of organizations, TVM clearly fits that profile. I am honored to help the project thrive in the ASF,” said Markus Weimer, the ASF member who championed the incubation of TVM at the ASF. Read the TVM announcement here, and visit the new Apache TVM incubator page here. Learn more about the Apache ecosystem here. Allen School Ph.D. student Venkatesh Potluri has earned a 2019 Google Lime Scholarship, which recognizes and supports students with disabilities who demonstrate the qualities of leadership, commitment to academic excellence, and passion for computer science and technology. Potluri, who is blind, is in his first year at the Allen School working on human-computer interaction (HCI) and accessibility research as a member of both the Makeability Lab and Make4All Group. 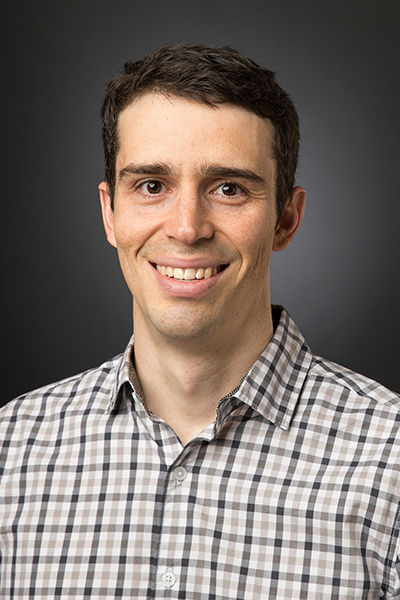 While most fledgling Ph.D. students ease into research in their first year, Potluri has initiated two research projects in his short time at the University of Washington. For the first, Potluri is collaborating with his advisors, Allen School professors Jon Froehlich and Jennifer Mankoff, to develop new techniques for enabling blind programmers to develop and test user interfaces (UIs). Through a combination of semi-structured interviews and online surveys of individuals with visual impairments, the team aims to gain a better understanding of how individuals with visual impairments engage with the spatial aspects of UIs — such as the size, shape, and location of interactive elements — and how they customize the look and feel of their social media pages. They plan to use this input to develop novel programming tools that can be used by both novice and professional programmers alike to create, evaluate, and refine interactive UIs. The project is a natural extension of Potluri’s previous work on CodeTalk, an open-source plug-in that improves the accessibility of integrated development environments (IDEs) such as Microsoft VIsual Studio. 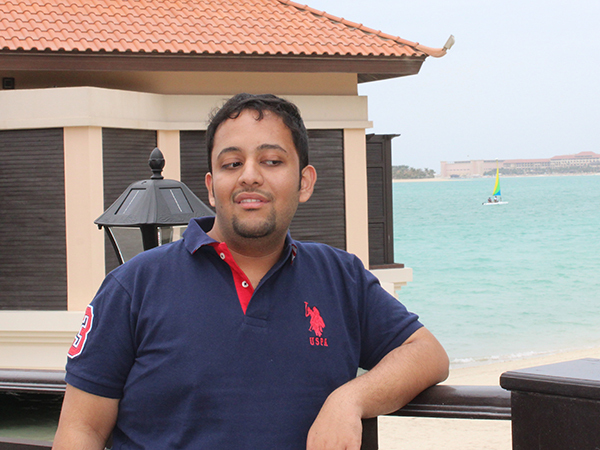 That work, which Potluri completed as a research fellow at Microsoft Research Bangalore, improved the glanceability, navigability, and alertability of code through a combination of UI enhancements and both speech and non-speech cues for developers with visual impairments. In addition to his work on accessible UI design, Potluri is simultaneously leading a project to rethink the multi-touch laptop trackpad as an accessibility device. This effort will build upon previous work by Mankoff and researchers at Carnegie Mellon University on Spatial Region Interaction Techniques (SPRITEs), which repurposed the keyboard to enable people with vision impairments to access interactive website content. Working with three other graduate students as part of a graduate-level HCI course, Potluri aims to extend that concept by identifying challenges for visually-impaired users that could be overcome through use of the trackpad and developing new trackpad interaction techniques. “Venkatesh’s commitment is to raising the ceiling for the sophistication and range of tasks that Blind computer users and programmers can accomplish. Both of his projects have the potential to make important contributions toward this goal” said Mankoff. In addition to his technical projects, Potluri is collaborating with two fellow students with disabilities to generate an auto-ethnographic account of their experiences as Ph.D. students in Computer Science & Engineering with disabilities. The hope is that by sharing their unique insights and challenges, they can inspire others with disabilities to pursue advanced degrees in STEM fields. Potluri has a history of taking up the cause of technologists with disabilities with positive results. As a co-founder of Inclusive STEM (I-STEM) in his native India, he and his fellow technologists who are blind or visually impaired are helping to make STEM education more accessible. I-STEM’s initiatives include a virtual training program that teaches students with disabilities how to code; inclusive hackathons that engage developers, industry professionals, and students with visual impairments to collaborate on projects; and a series of webinars introducing students to accessibility research in India and beyond. Potluri remains active with the organization, which has succeeding in creating a community and support system for aspiring technologists with disabilities — exactly the kind of leadership and commitment that the Google Lime Scholarship is designed to promote. The Google Lime Scholarship is administered through a partnership with Lime Connect, a global non-profit organization that connects students, veterans, and professionals with disabilities with educational and career opportunities. Learn more about the Google Lime Scholarship Program here.